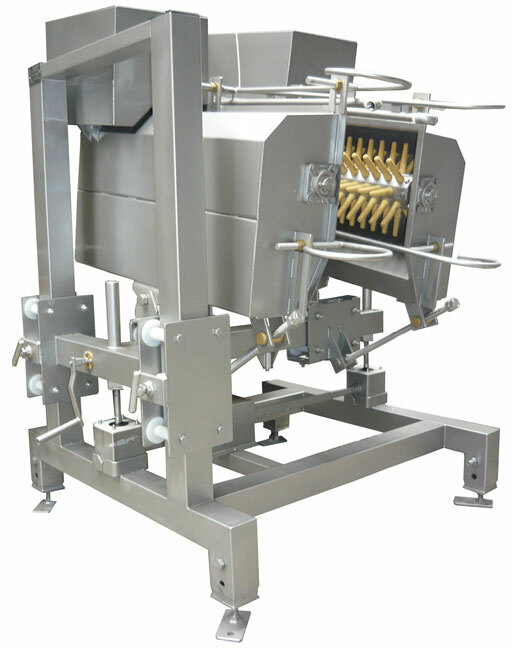 Finishing in-line picker, type SLK, is designed for final picking of tails or hocks. Drive is transmitted from the motor to the picking beam with the help of a V-belt. Each beam is driven by a separate electric motor placed in a stainless casing. The picker is fitted with a mechanical hoist that allows for the height of the picking beam to be adjusted. Depending on the size of processed poultry and elements to be defeathered, the picking beams can be adjusted with respect to the transported carcasses.